Initial Pioneer NEX and AppRadio 4 user feedback suggests minor sluggishness issues with the Apple CarPlay interface. For example, changing tracks or triggering Siri sometimes takes a few extra seconds. But this has nothing to do with Pioneer or their hardware. Firmware updates were released by Pioneer at the beginning of this month making their NEX receivers the first aftermarket units to bring Apple CarPlay to consumers. In fact, Pioneer's head units were the first to bring CarPlay to consumers, period, not only in the aftermarket. 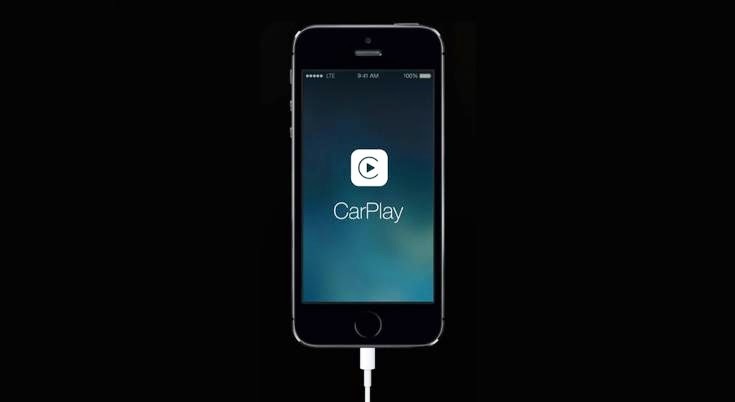 Apple introduced CarPlay, which was formerly known "iOS in the Car", at WWDC 2013 last year. Earlier this year, Apple gave it the name "CarPlay" when it showcased the software at the Geneva Motor Show. When it was first announced, CarPlay was said to be in beta, meaning Apple would continue to develop and better the technology with updates. As with any first generation product, there are bound to be deficiencies. And CarPlay is no exception. Pioneer's NEX head units have received rave reviews in general and particularly when it comes to CarPlay. CNET, for example, gives the AVIC-8000NEX the "spectacular" or five star review rating, which it hardly ever bestows on any product in any category. The device is CNET's Editor's pick for October 2014. It seems like CarPlay works based on which iPhone you use and the iOS version it's running. When using an iPhone 5 running iOS 7, the sluggishness is more profound compared to when using an iPhone 6 running iOS 8.1. Yet, the CarPlay interface performs extremely well, in my opinion, compared to most other in-car interfaces. Apple will manage and develop CarPlay on their own, using aftermarket manufacturers like Pioneer and Alpine only as vehicles to deliver their product. CarPlay is their product and they will continue to have full control over its features, which apps are approved, fixing bugs etc. The software is an iOS feature and with upcoming iOS updates, we can safely expect the interface responsiveness to improve. So next time you have to spend a few extra seconds waiting for Siri or for the track to change on your NEX or AppRadio 4 head unit, don't point your finger at Pioneer.